Monthly, quarterly or annually - your members or residents expect to hear from you and be kept up to date with news and announcements. and it won't even cost you a cent! you want to do business with. 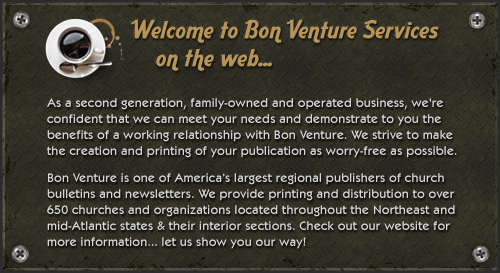 We invite you to join our family of businesses, both large and small, who continue to enjoy the benefits of advertising with Bon Venture!